(no shift gears).The third type is servo type which adopts servo motor for infinitely variable speed change. 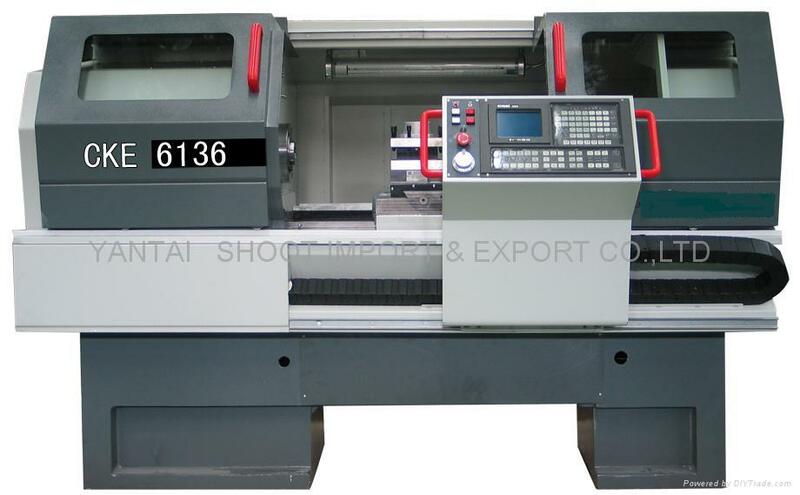 The machine comprises vertical 4-position electrical tool post, manual chuck and manual tailstock. braking .After the braking is finished, the braking device is released and the spindle can rotate again. Full cover is adopted by this machine to protect operator against the splash of the chips and the coolant.